The Ukrainian party of the Summer! Are YOU getting on the Bud’mo Train? This is the most memorable vacation you’ll most likely forget! First of all party it up in Dauphin, then travel to Winnipeg and fly to Ukraine for the ultimate party pilgrimage – the Bud’mo Train to Ukraine!!! Get the best of everything in Ukraine - experience the living traditions, do sightseeing and, of course, learn all the specifics of zabavas (parties) in all the different regions of Ukraine! Spend a couple of days in Ukraine’s Capital and experience a variety of exciting, fun things we have planned for you, including a day trip to Kaniv, some beach time by Dnipro, sightseeing, some quality time with real Kozaks and, of course, parties and the best of nightlife! Once we’re done in Kyiv, we’ll hop on the actual ‘Bud’mo Train’ and travel to the beautiful city of Chernivtsi where our adventures continue. Once we arrive in the Capital of Bukovyna, the beautiful Chernivtsi, we have many activities for you! Not only will you get to explore the city and all it has to offer, but you’ll experience the best of local folk at a private performance, exclusively for Cobblestone Travelers, visit some wicked Kozak Fortresses in Kamyanets Podilsky and Khotyn, and naturally, have a Bukovynian style zabava! 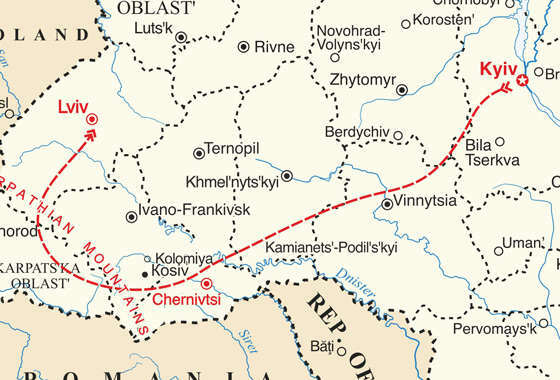 We will now be travelling to the Carpathians and our journey begins in style – with a real village party. Traditional songs, dances, toasting, homebrew making tutorials and much more! 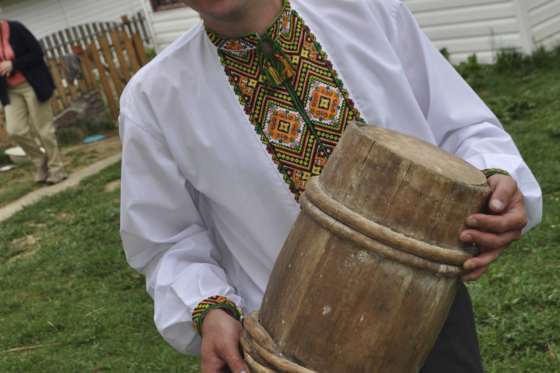 Once we get to the Carpathians you’ll get to enjoy the mountains, attend a traditional Hutsul Wedding and see how traditional musical instruments are made! 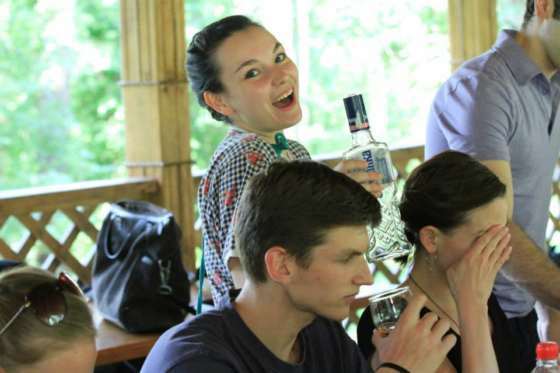 Of course, we will not let you go without a proper celebration – you’ll learn to party like a Hutsul! Lviv, you will have time to explore the city and learn everything about its history, do a pub hop and then a tour and beer tasting at the local Brewery Museum. To wrap up the party-adventure-fun-filled time in Ukraine, we will show you how to party Galician style, just like the Batyars used to! Party with the Kozaks. Go on a boat ride down Dnipro River. Enjoy the Mystic Carpathian Mountains – attend a Cobblestone Freeway exclusive – traditional Hutsul Wedding. Party in a Ukrainian village and learn the secrets of making the best homebrew. Do a beer tour and tasting at the oldest Brewery Museum in Ukraine.